Give yourself the best Christmas gift EVER this year, the gift of income-or pass it along to someone else! Every year Mabel gives a gift, such as last all of her videos on line viewable for free to everyone and anyone in December 2007. These videos do help people with vocational skills as well as creativity, competency and inspiration. Mabel's Gift to you Christmas 2008 was well thought out for the best gift she can give you in this economy. Your OWN FREE web page that is ready for you to start making an income NOW! Today! Cash in YOUR stocking! This is a web page we can customize in minutes for you and then it is up to you to e-mail to your contacts-we KNOW you have them! The focus is primarily all natural liquid soap that everyone needs and IS making our Reps a profit in an economy that is reporting few profit sectors. [We will add other natural items after New Years such as natural lotion.] You get 50% of the money Pay Paled to you every Sunday evening with any orders your page did earn forwarded to you also at that time. And you get to GO GREEN TOO! Also you get 50% off on all liquid soap products. Basically place an order and that will be included in your 50% sent to you weekly. Our main mission is to create an income source for Americans, even if it is better food money on their table-and YOURS by selling a unique and high in demand green product! All you have to do is e-mail offers we help you create-your new web site being the first announcement. We recommend you announce your new site with a holiday e-card from a trusted brand such as American Greetings. Everyone in our company is treated fairly and rotated evenly as far as the American vendors we purchase from, and any other divisions of our company. This company was created by Christian women all over the country to sell a wonderful and natural product as well as help support our fellow neighbors. Most founding partners are being promoted this new years with official corporate titles. We hire from within when possible. And we are totally FOR PROFIT! All ideas and talent are welcome here. * Easy sales, NO MLM what-so-ever. * Dynamite support forums open 24/7. Privacy: Your data stays private and your property. We do not collect your data other than to drop ship for you. Rules: If you are the only buyer for 30 days-you will loose your right to have that web site-unless illness or transition was a reason. Your web page is revocable if you try to advertise on the general web. Do not dare spam off our servers or we will pursue swift legal action. Rep: Since the fee is nominal-this does not make you a Distributor or Representative for Mabel's Miracles. It simply makes you a business owner of a site that happens to sell our products. But it should make you MONEY and also earn great repeat business to people you know. You can determine to be a Rep or Distributor at a later date, there is no limitation on doing so. Need more reasons to join us? * Going green can make money. *Non-Toxic and safe for the Environment! How Much? Your site is free, but we do charge $45 for 25 brochures we mail to you so you can also mail brochures to your friends and acquaintances. There is a space on the brochure for writing your web site name down and contact info. How Do We Know it was YOUR sale? We insert your name as an "item" number in the order forms, so we have no doubt. Test and order on Jane Dough and you will see what we mean. How do I know you will report every sale I get? Place a pretend sale and see if it is on your weekly summary. We do not know who your people are by an e-mail or even shipping address. So Make Money Selling Liquid Soap and Get Paid to Go Green! Everyone needs liquid soap, many families AND businesses are trying to go green, they just don't know where to begin! Since liquid soap is the most used product of all and the one most contact to our skin, it is THE place to start. It is used to wash veggies, babies, pets, for automatic dishwashing, laundry, in the bathroom as a natural body wash and so much more! your time. Until you value your time, you will not do anything with it." All of our body products are petrol, Paraben & paraffin free. The focal element of our home products is liquid castile soap. This replaces many synthetic cleaners. Castile is made from Olive Oil and is the most gentle and natural soap a person could use. Ours is so beautiful, fun and relaxing to use! 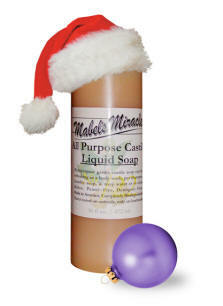 Castile soap offers 'natural bubbles' meaning all different sizes. It doesn't have the uniform, 'fake and dramatic' look of commercial surfactants. *Pay Pal e-mail addy required, so use the e-mail address you plan to be sent money too. *In the comment section of the order form put the contact info you want on your web page...any info you deem appropriate.